Customer Referrals: Fifth Small Business Power Move - Brilliant Breakthroughs, Inc. Customer Referrals need to be balance by type and in-person or online. Are yours balanced? Customer Referrals has become a catch phrase for many different aspects: praise, testimonials, and actual referrals. Even though we are in a great transition regrading business referrals, customer referrals are essential to Small Business Success. Once upon a time referrals meant that YOUR Customer was referring you to another potential customer. This current or former customer would be singing your praises to another. They’d be sharing why you’re awesome, and to consider you as a probable service provider. Back then this was usually done via a personal face to face conversation. Brochures were supplemental to the conversations. In it’s truest form today, customer referrals are still as I just mentioned. There isn’t much confusion over this aspect. Before we dive into explaining customer referrals further, you might want to click here for an introduction to the 5 Small Business Power Moves. The other Power Moves are Customer Attraction, Customer Engagement, Customer Conversion, and Customer Servicing. The confusion appears when we add digital to the customer experience. Remember: We over-simplify here to make the topic relevant to more Small Business Owners. Social media is a little different on this topic. Social selling is a term of selling online through building relationships – online. The customer referral world appears like the wild west when we add online activity. But it’s actually very basic and purposeful for you to utilize. When we add social media, the face to face conversations alter to digital or virtual conversations. Essentially it’s people communication via typing. TIP: This is one reason why video is so powerful. Instead of hiding behind a keyboard, you’re opening yourself up to conversation with viewers. There’s a authentic aspect to video. It’s engaging and influential. Back to referrals of the 21st Century. For about 10 years we’ve seen a trend of online customer testimonials. If developed well, testimonials are short version of case studies. Essentially thorough testimonials reveal the customer’s unfavorable past situation. Then the actions taken to bring about change. Concluding with a new current state of satisfaction and success. As you can see most testimonials aren’t thoroughly developed. We usually experience shorter versions. I call the above “customer praise”. At the core of the message YOUR Customer is expressing how awesome you are for serving them. NOTE: Online “Customer praise” is NOT a referral! Why? The customer who is praising online, isn’t able to converse with YOUR Potential Customer. Thus, they aren’t able to persuade them to reach out to you. It’s passive – waiting for someone to stumble across it. Yet customer praise needs to be included in YOUR Online Presence! As you just learned, today’s customer referrals come in 3 variations: in-person referrals, or testimonials and praise, which are typically online. Yes, praise if often how in-person referrals begin. These are referrals because the one referring can influence through conversation. Yes, testimonials can be in print or in-person. Today we see the shift to placing them online. Hot-Tip! : Want to stand-out from the crowd? Consider mailing potential, current, and past customers. Very few businesses are sending communications through the mail any longer! It’s a great way to supplement your online presence. 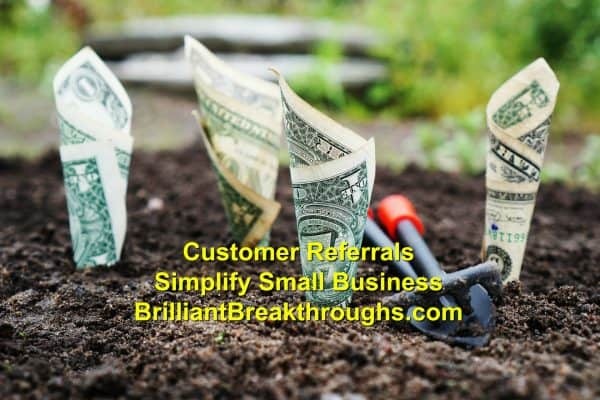 What is necessary for you to gain more Customer Referrals? Please feel free to share your actions or questions for improving YOUR Referrals in the comment section. I’ll share mine now. I’m lacking with my online presence of testimonials and praise. Guess what I’ll be working on for the next 2 Quarters! p.s. 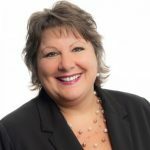 : If you’re in the Milwaukee area on the last Friday of the month, join us at Wisconsin Business Owners Lunch and Learn. You’ll develop great relationships and grow your business.